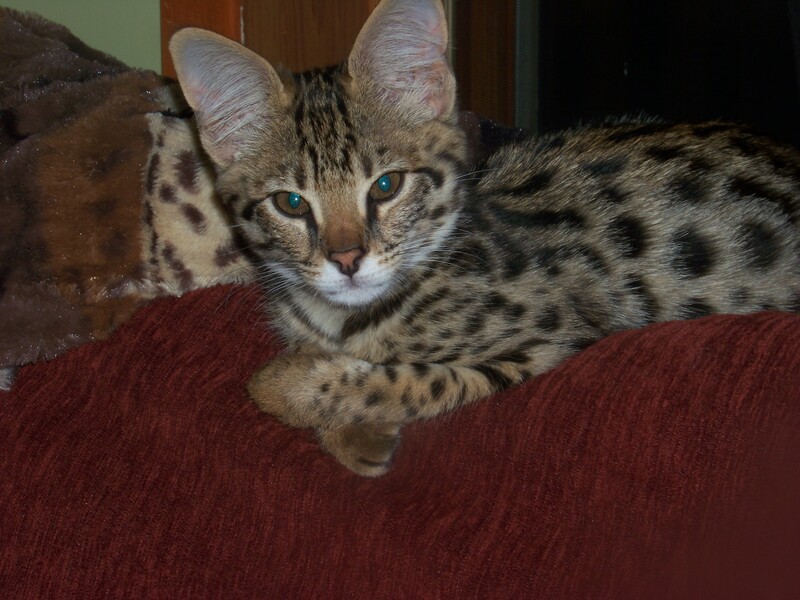 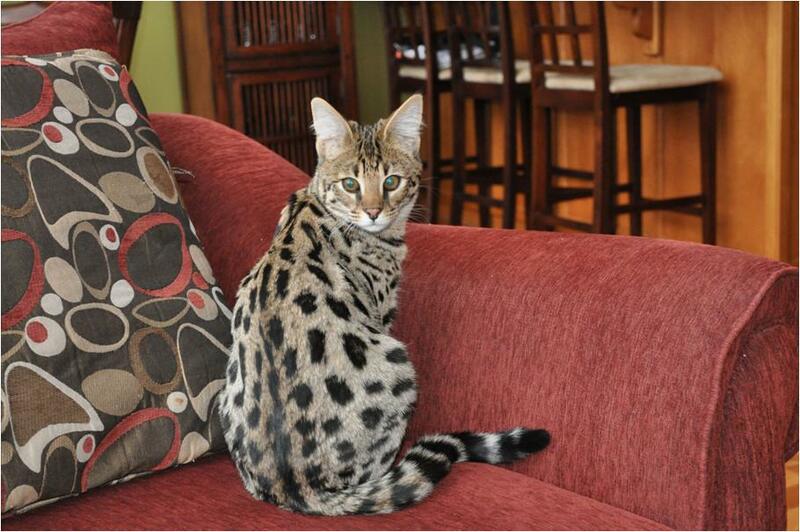 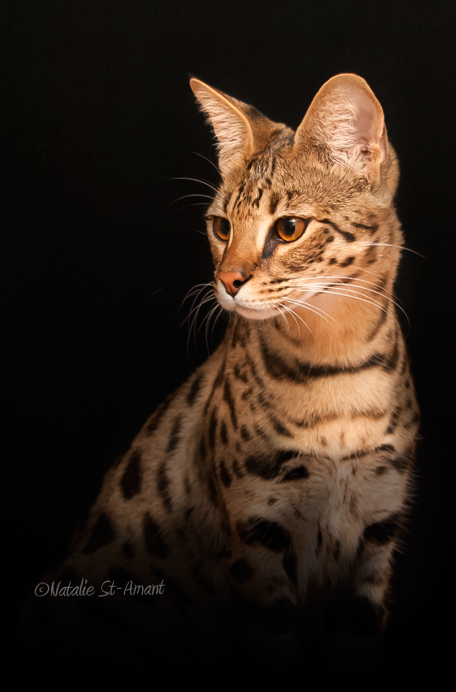 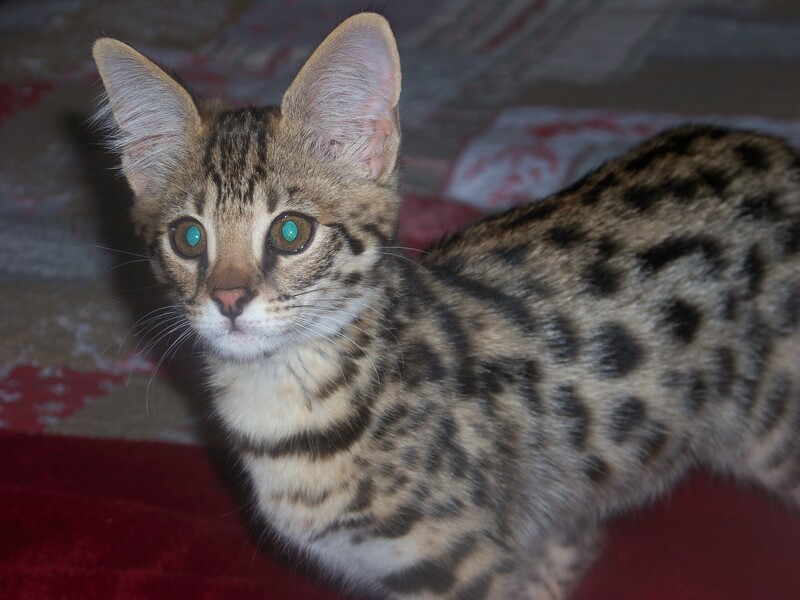 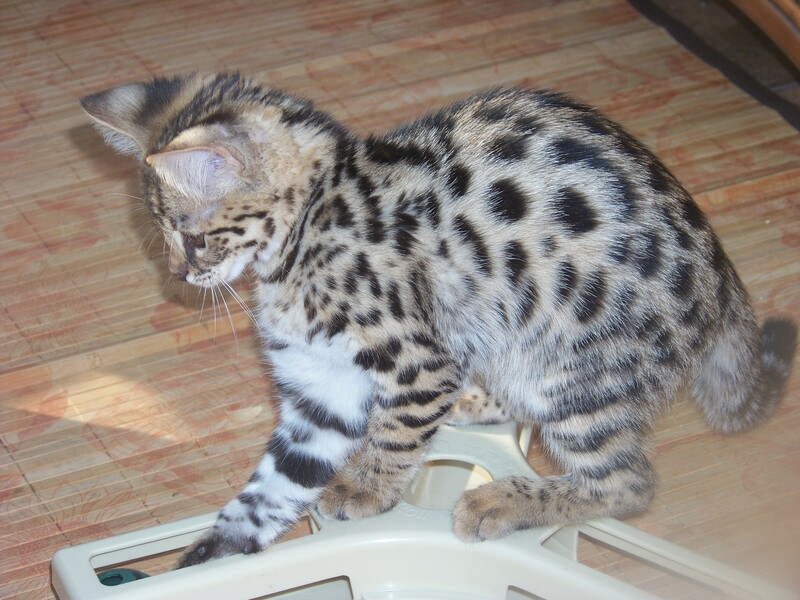 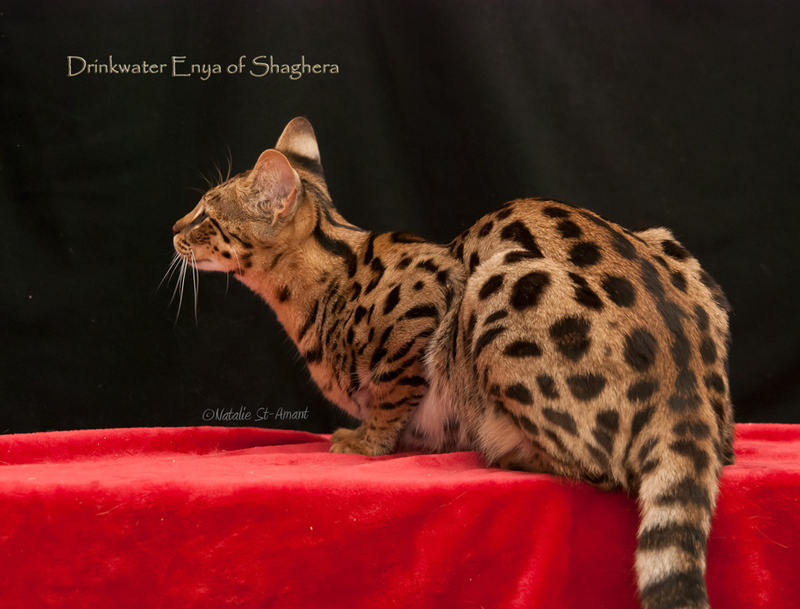 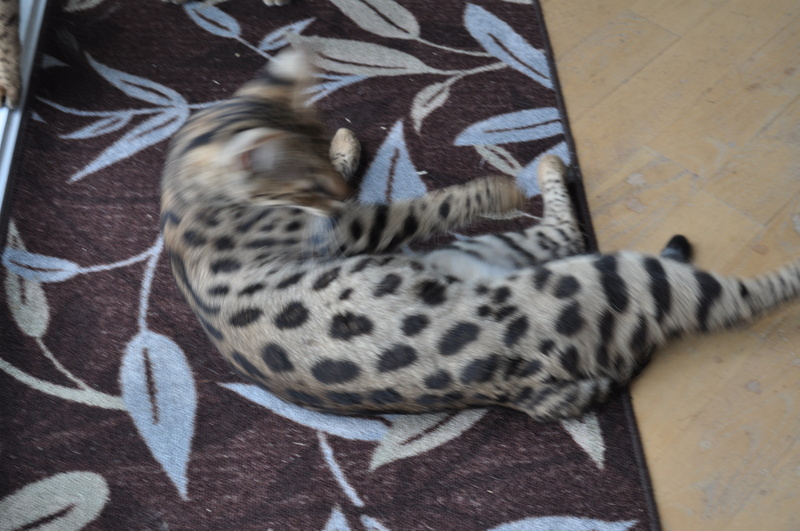 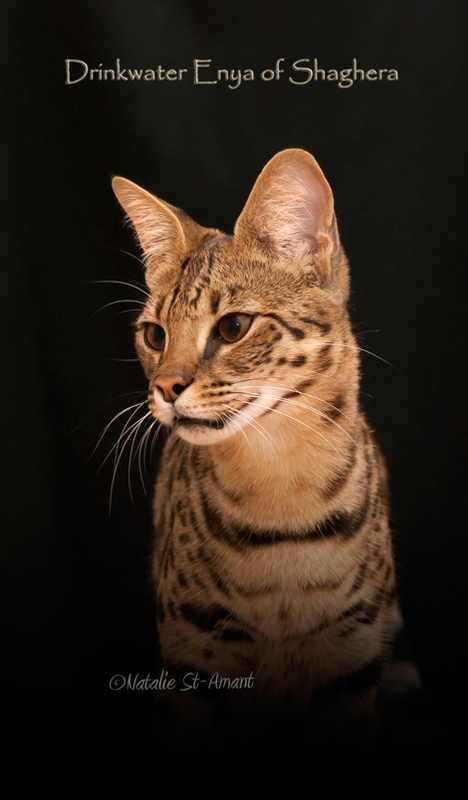 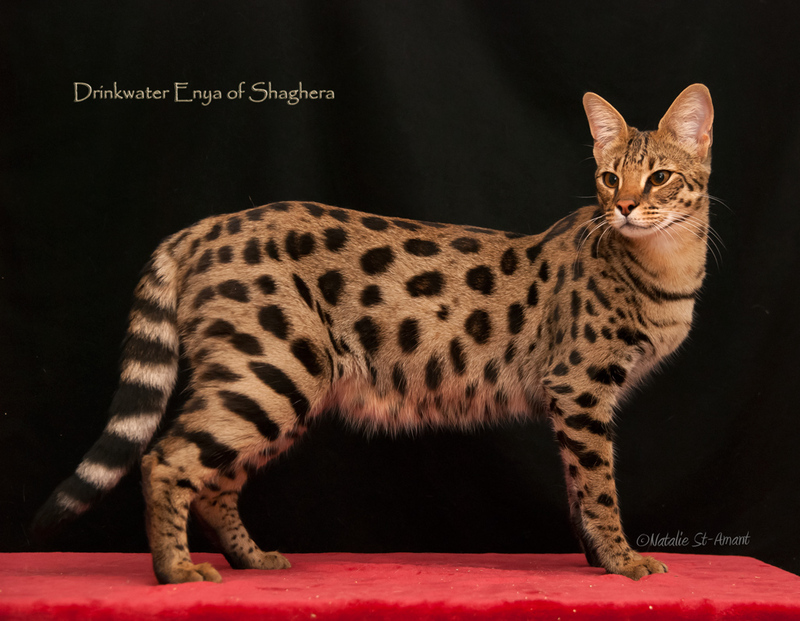 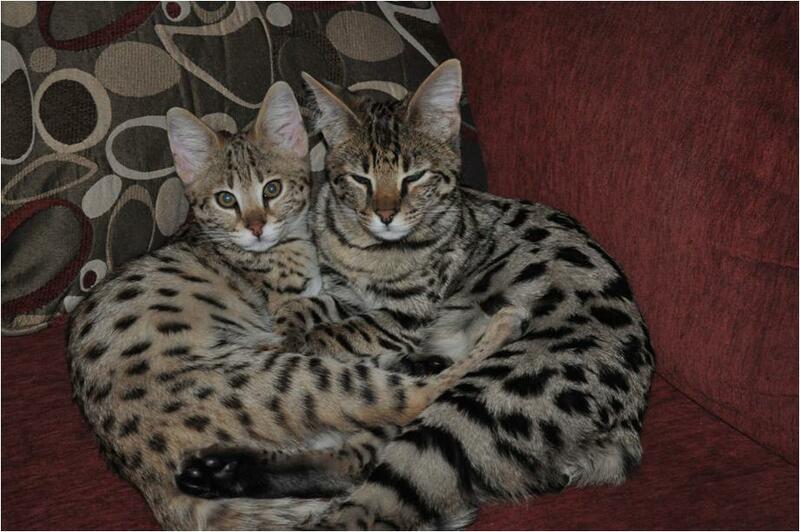 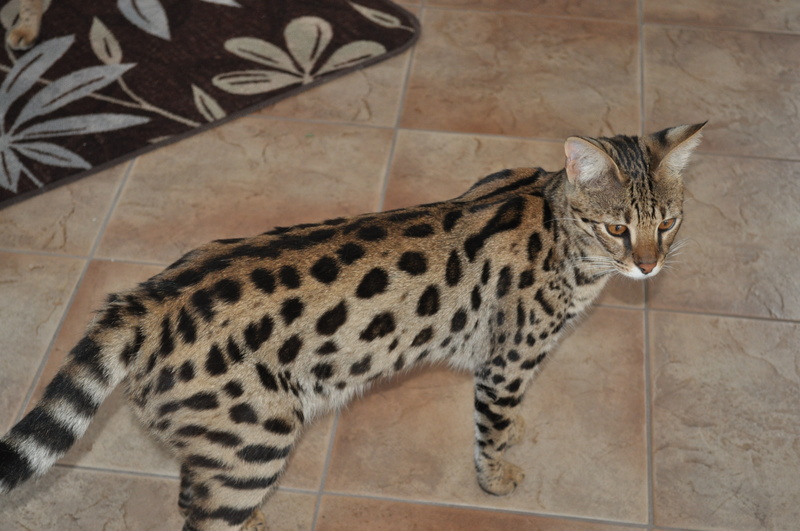 Here is our very first F1 savannah cat. 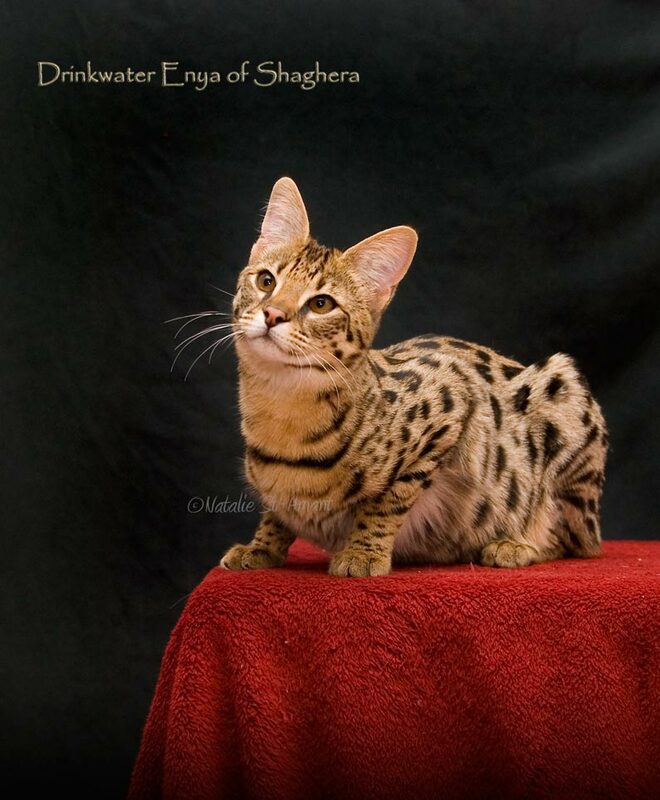 She made us discover this new and wonderful hybrid breed. 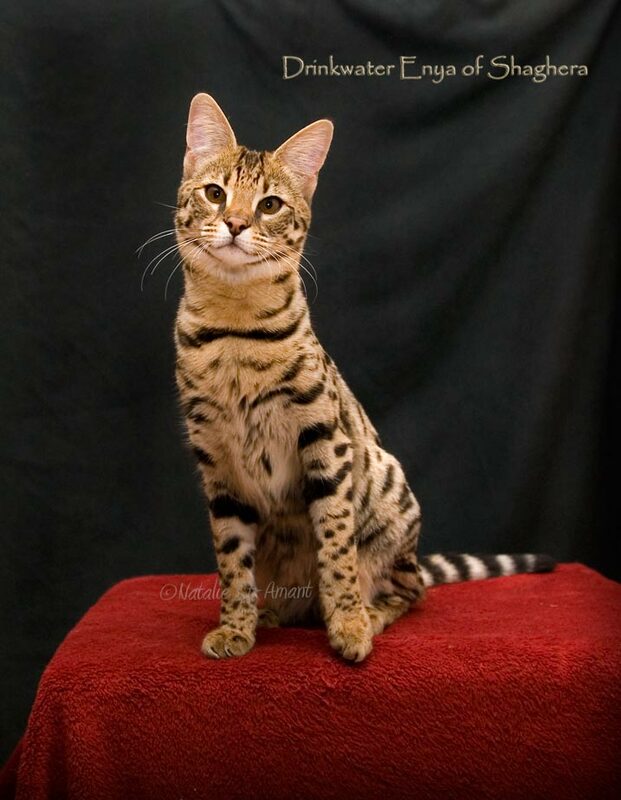 She’s just 6 months old on the most recent photos. 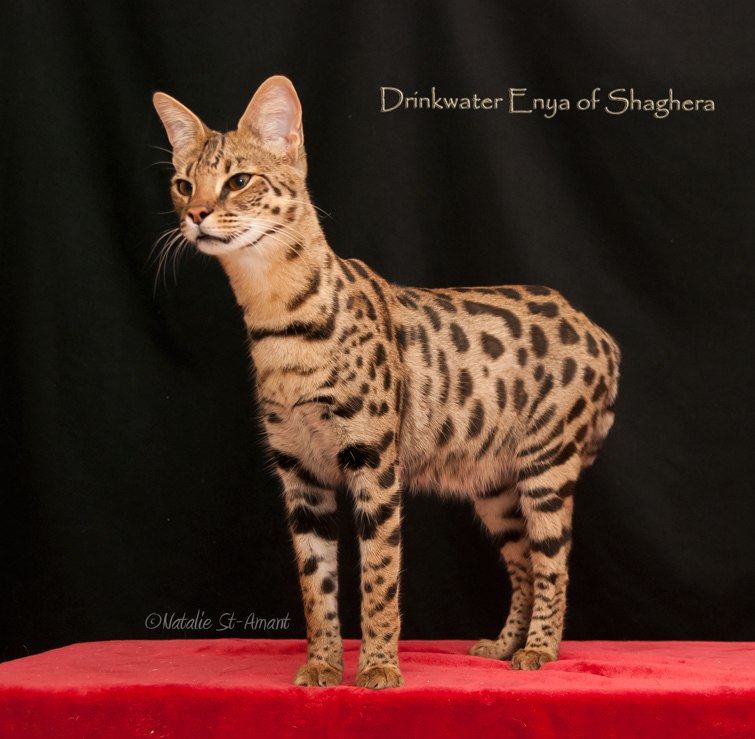 We discover the beauty of this big feline as it grows! 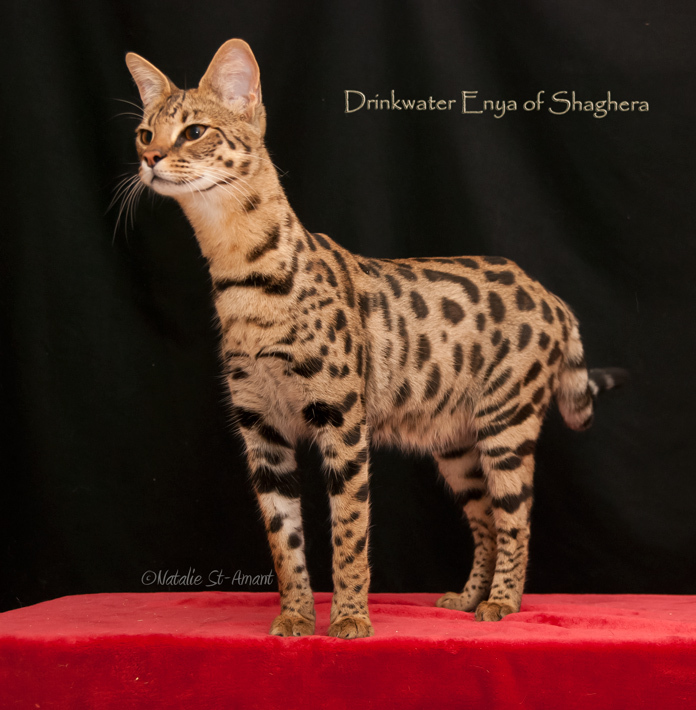 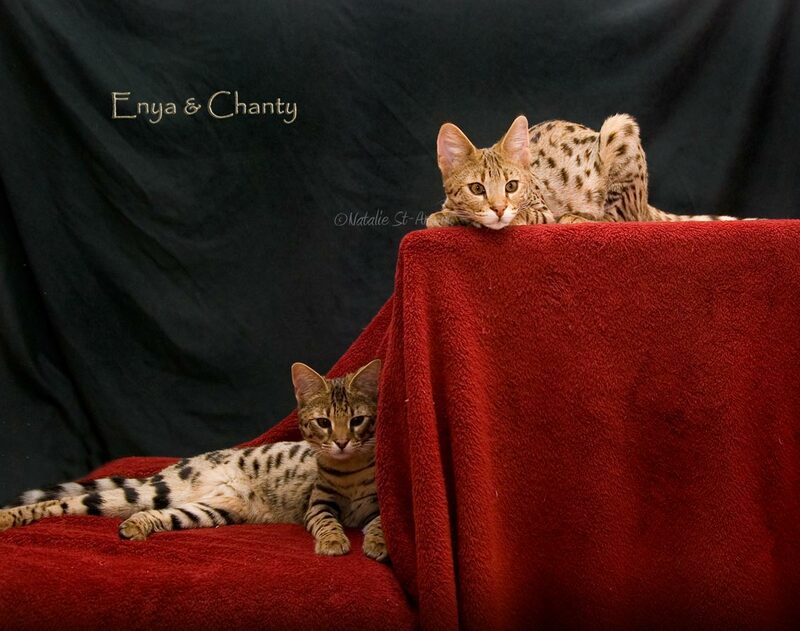 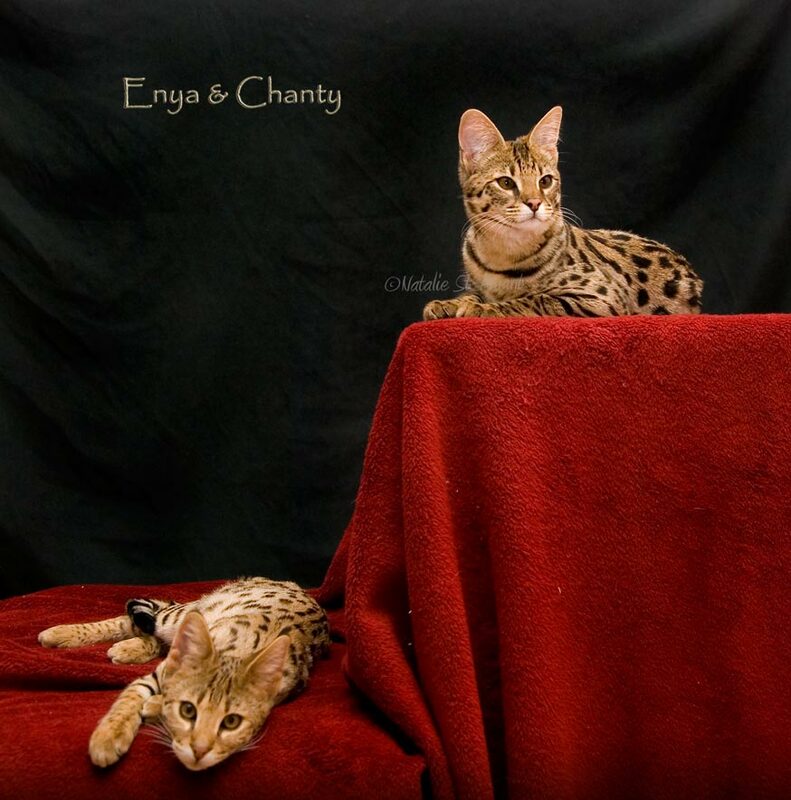 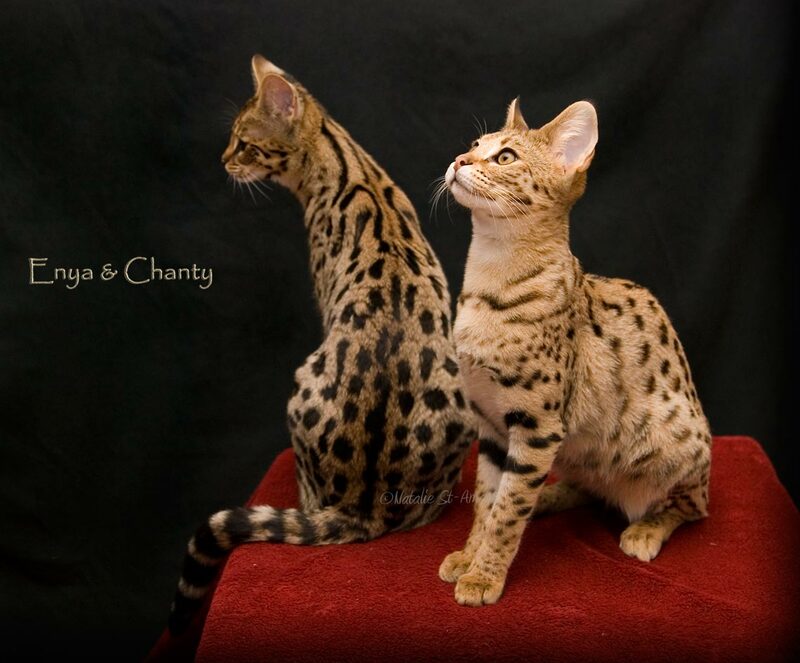 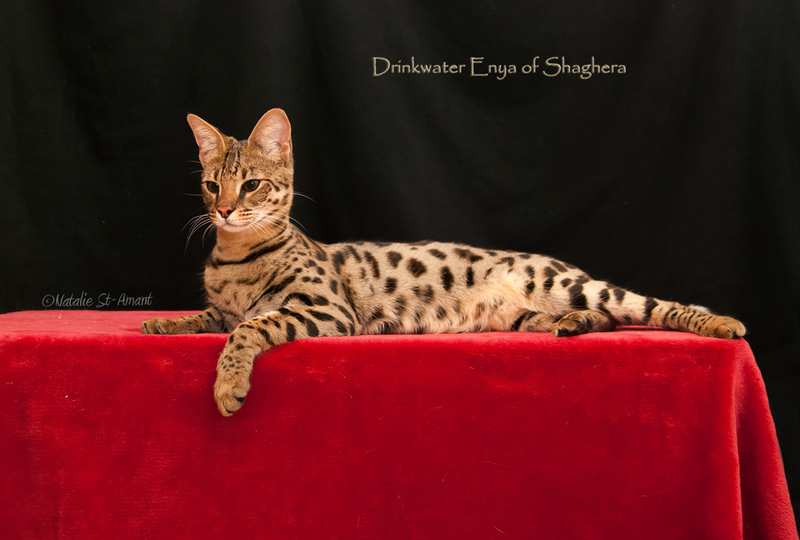 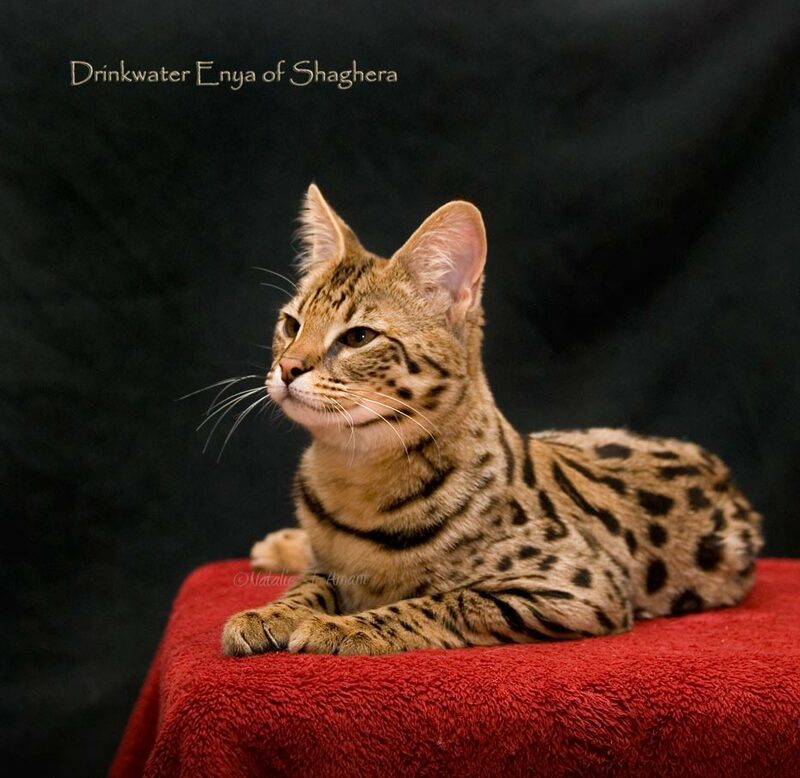 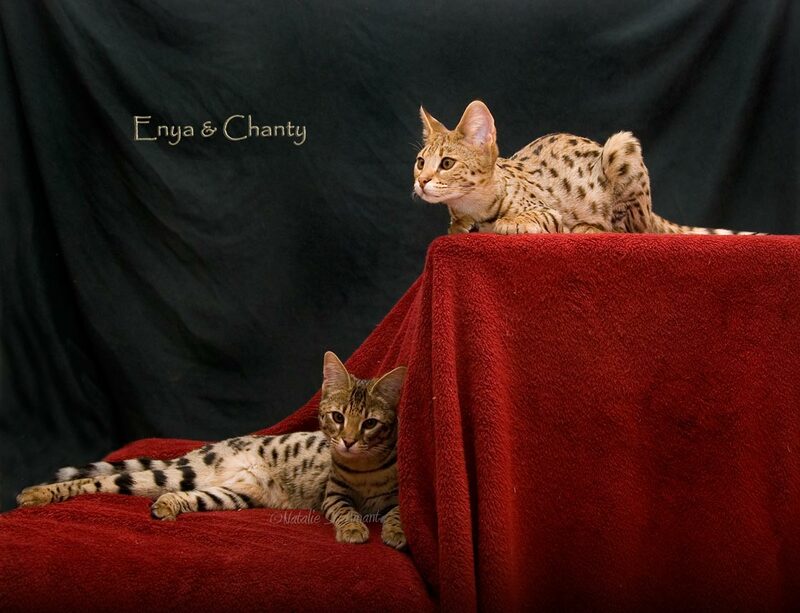 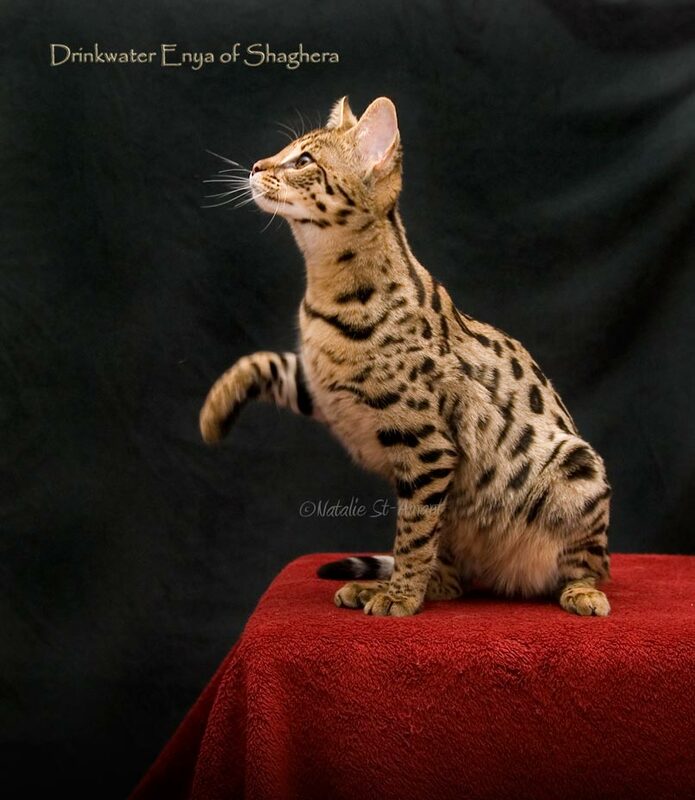 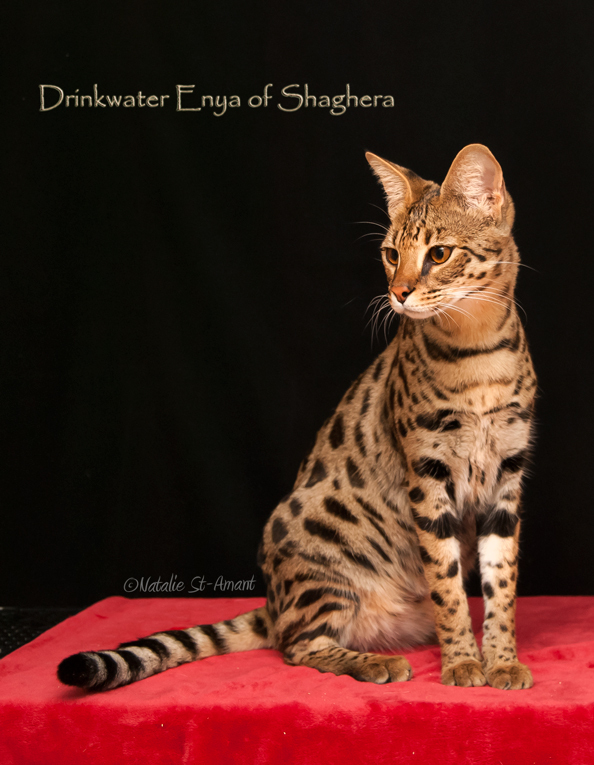 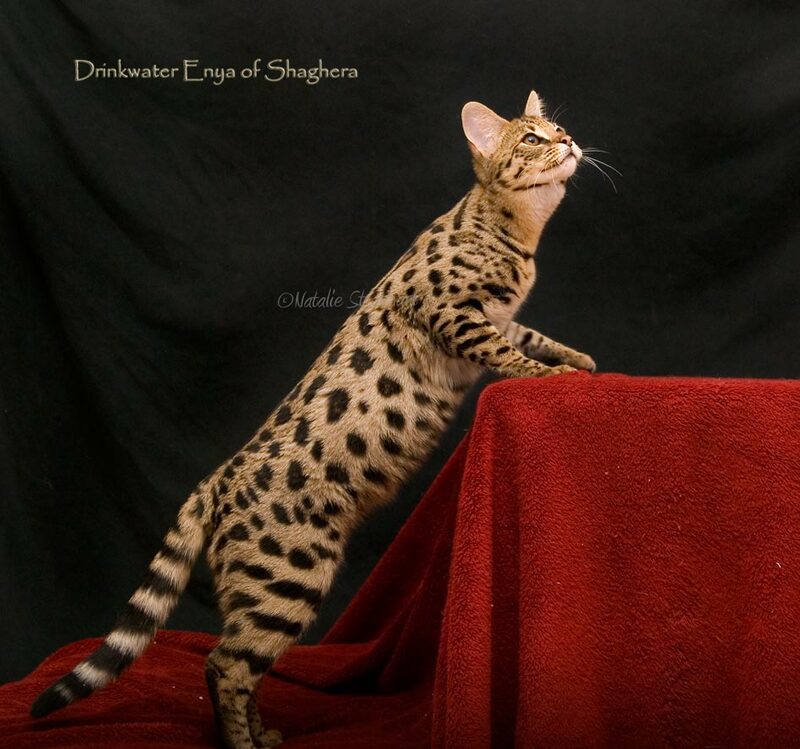 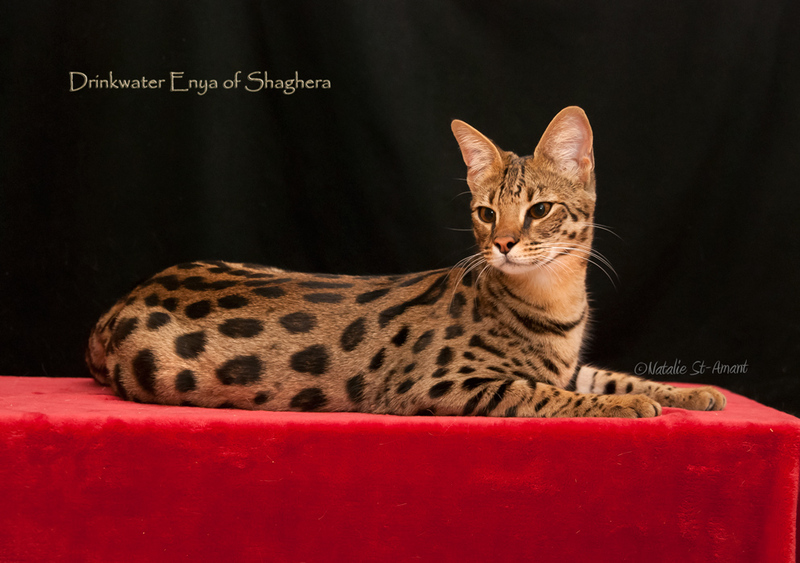 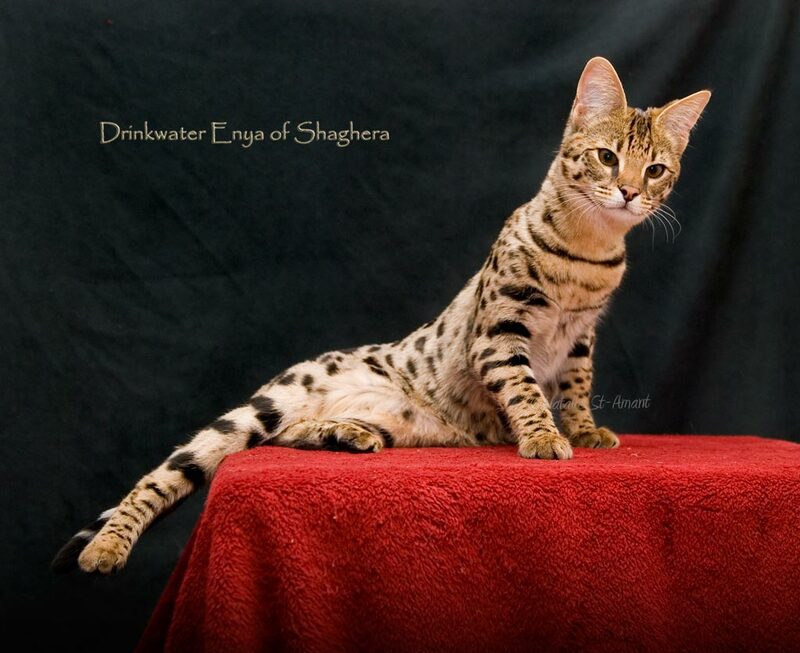 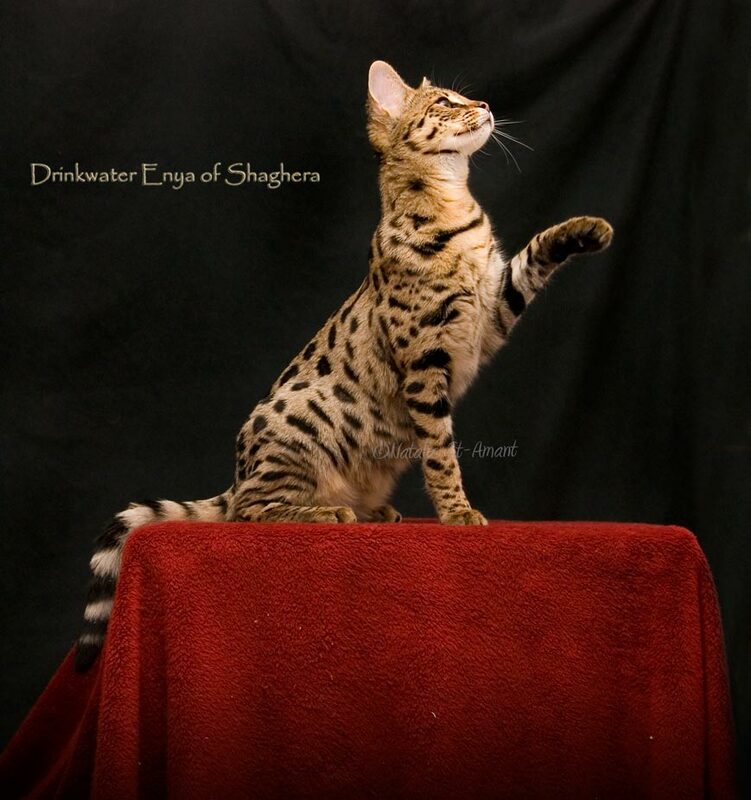 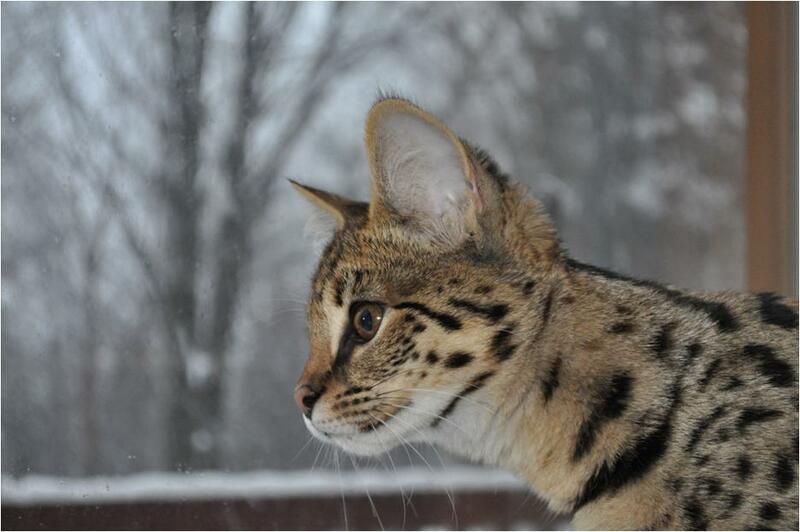 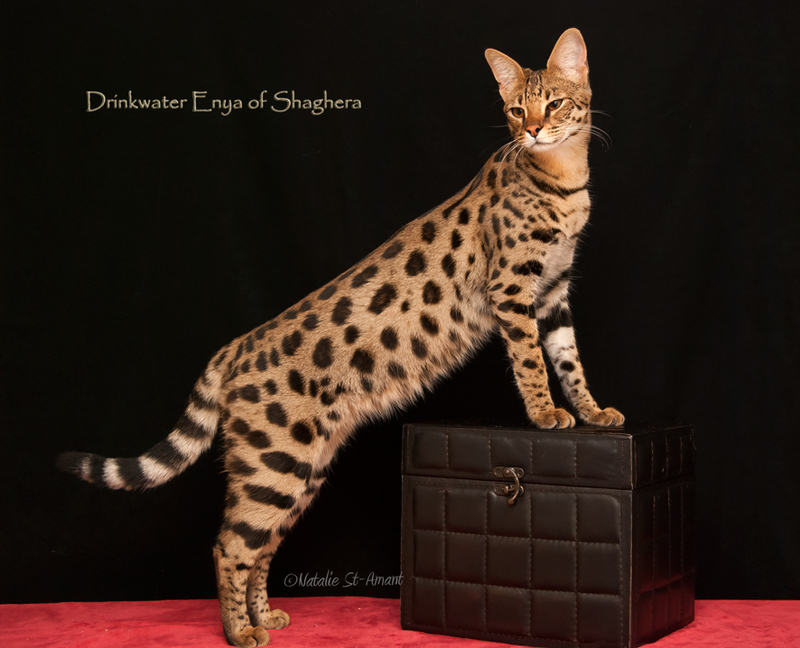 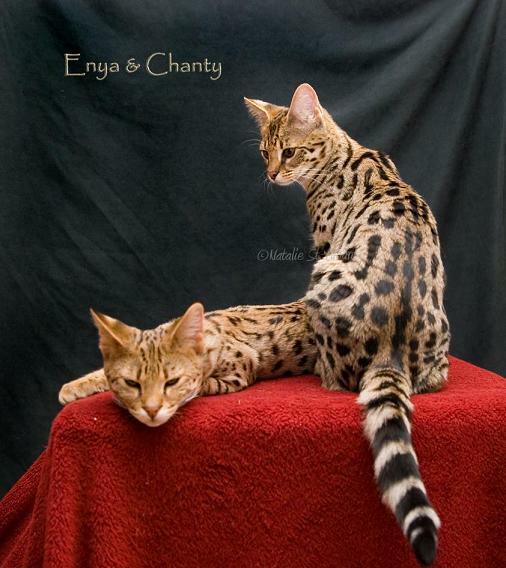 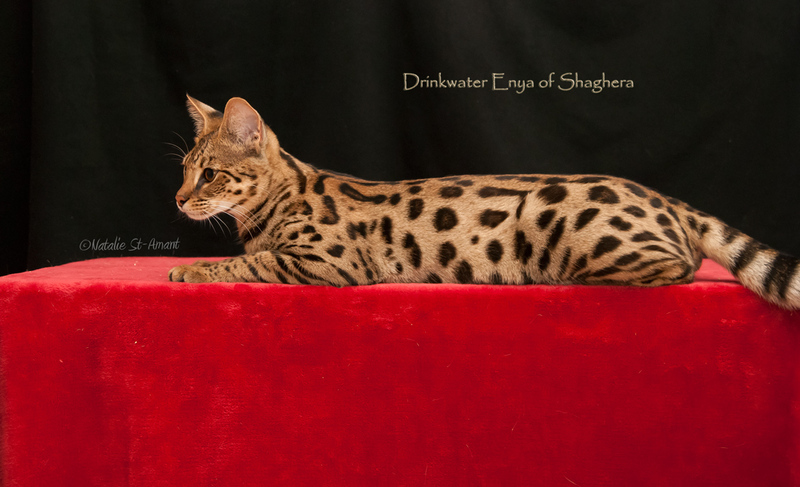 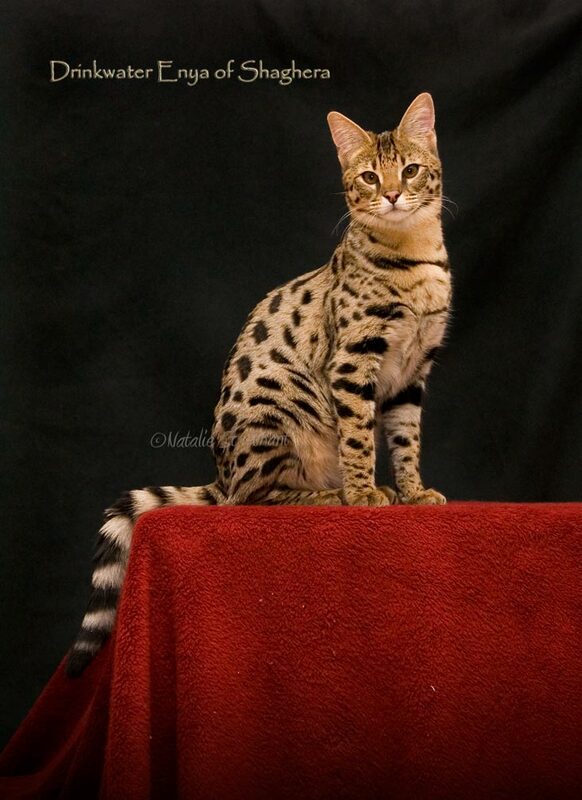 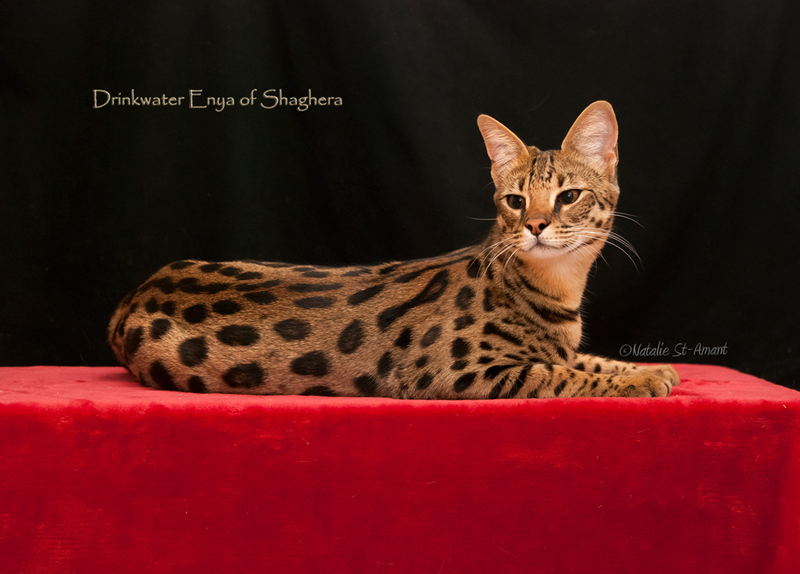 Enya has a Bengal mother and a serval father. 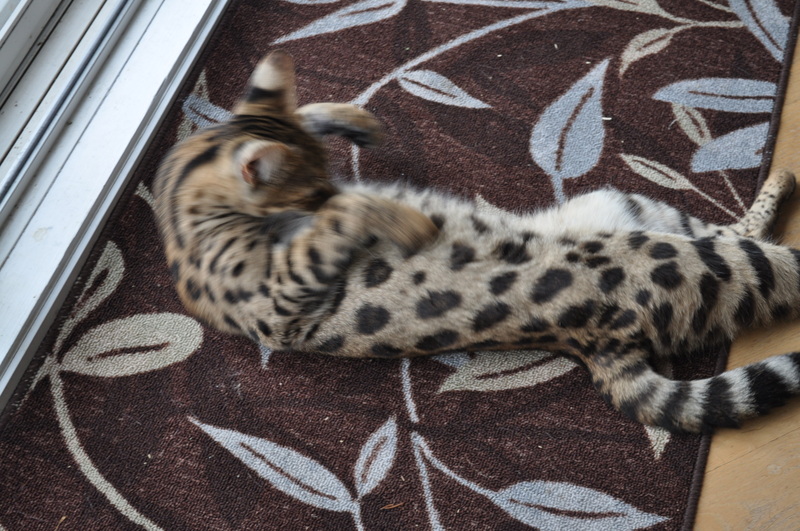 She is robust and her fur is very soft. 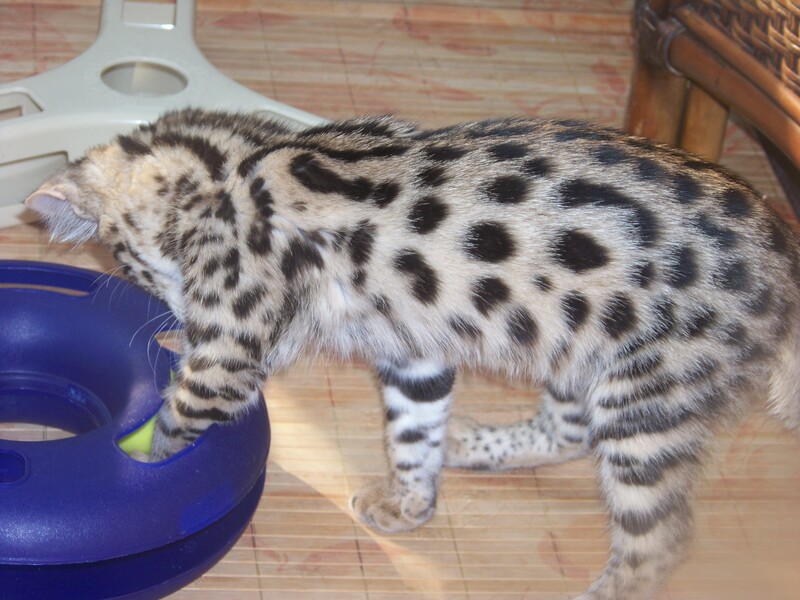 This cat love children and bring everywhere her toys. 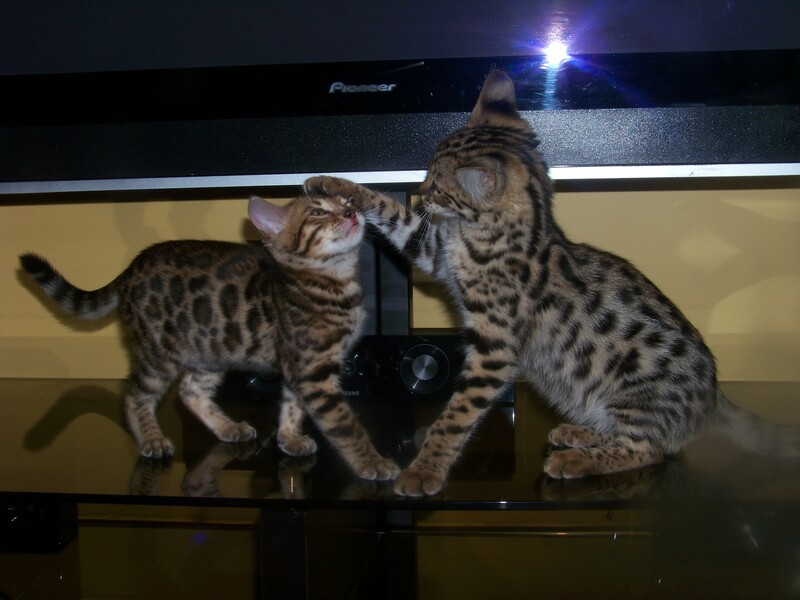 She will be a great mom for sure.